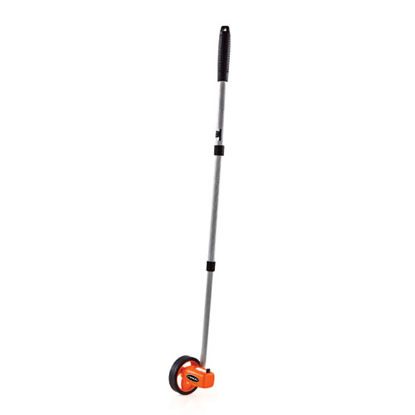 Smaller 1-foot measuring wheels combine Keson quality and reliability with convenient size and light weight. Typically used in short run and indoor applications these products are compact and very reliable. It’s easy to measure curved, horizontal and asymmetrical surfaces. These products are popular with realtors, appraisers, police officers and homeowners. You can measure alone, and you can measure faster than two people with a tape measure. Many of our customers keep one of these wheels as an emergency backup to their regular wheels. The single wheel and dual wheel both have a 5-digit, easy-read, magnified counter that measures 9,999 feet, 11 inches without resetting. That’s almost two miles. 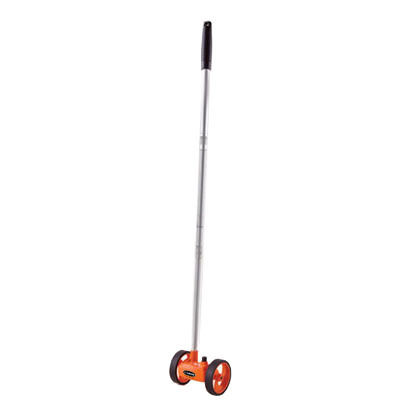 The dual wheel provides greater stability when measuring.